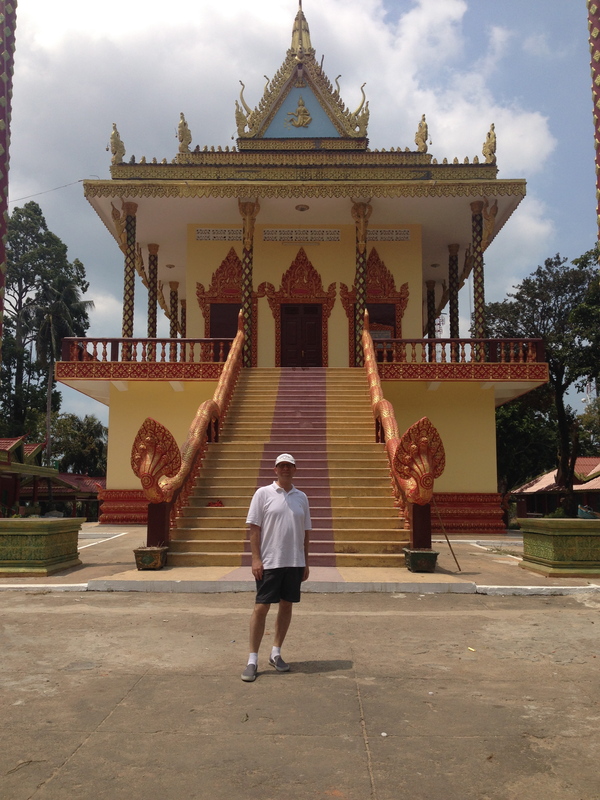 Cambodia is another world from everything we had seen. It is poorer, noticeably less developed, and trying to play catch up with the rapid economic expansion of their neighbours. Due to the timing of the ships arrival and departure, we would have only a limited time to explore. The ship provided shuttle buses from the dock to the Independence Beach Resort. Many passengers would venture no further than this oasis on the ocean. Even Francis was prepared to just spend the day at the beach; but, I pushed him and said, “When are we going to get a chance to come back here?” I wanted to see a bit of what it was like to live here. What the people were like. So, while others were content with spending US Dollars at the beach, we pushed into the downtown market, converted to Riels and began the day. As the shuttle bus approached the Independence Beach Resort, tuk tuk and taxi drivers began to chase the bus, all holding signs saying that they would take us all over. They crowded so tightly by the door of the coach that many were having trouble stepping out. Francis made it clear that he was NOT in the mood to deal with the shoving and haggling today, but I didn’t mind. As we were towards the back of the coach, I had a bit of time to survey the crowd of drivers shoving and yelling out prices. I noticed one guy kind of hanging back. He was good looking young man, calm, and didn’t appear to be much into this mad shoving market taking place. I made eye contact with him, and he just pointed to his sign and I nodded. As we stepped out, everyone was yelling and shoving, I looked over their heads and saw my guy who pushed his way over to us. I showed him that we wanted to go to the market and the Wat Leu. He acknowledged, I said US$15, he agreed and we were off. It was amazing, as soon as the deal was done, everyone fled for other potential customers. Francis riding in the Super Tuk Tuk. Let me explain a Tuk Tuk for people that do not know. This is a vehicle that would never pass muster in the US. A standard Tuk Tuk is a motorcycle like front with a passenger carriage like back and seat about 6 people in a vis a vis (face to face) fashion. A Super Tuk Tuk has a truck like front, with the passenger area, also vis a vis, built in the pickup bed area of the truck. The passenger area has a door and is easy to enter. There are also window that allow you to look over the driver compartment. It’s like a popemobile. We jumped into our Tuk Tuk and were getting ready to go. Enter Sophia. She was a young girl, about maybe 12 or so. She had a sweet face, and wore a large brim hat like man of the other roadside vendors in the area. She quickly came over to Francis’ side and asked him to buy some of her bracelets. She made handwoven bracelets, much like the girls at home do. She, and others, made a business selling them to tourists. We were eager to get moving, and planned to come back, and we were a bit concerned because she was standing fully in the middle of the road with other vehicles speeding past. Francis promised her that we would come back. She then said, “Make a pinky promise to buy only from me.” Francis obliged. She then tried to tie a bracelet onto Francis, which we quickly declined, as our vehicle was moving, and this technique is often used to get you to stop and buy more at that moment. We promised that we would be back and would buy only from her. Our Tuk Tuk took off down the road. 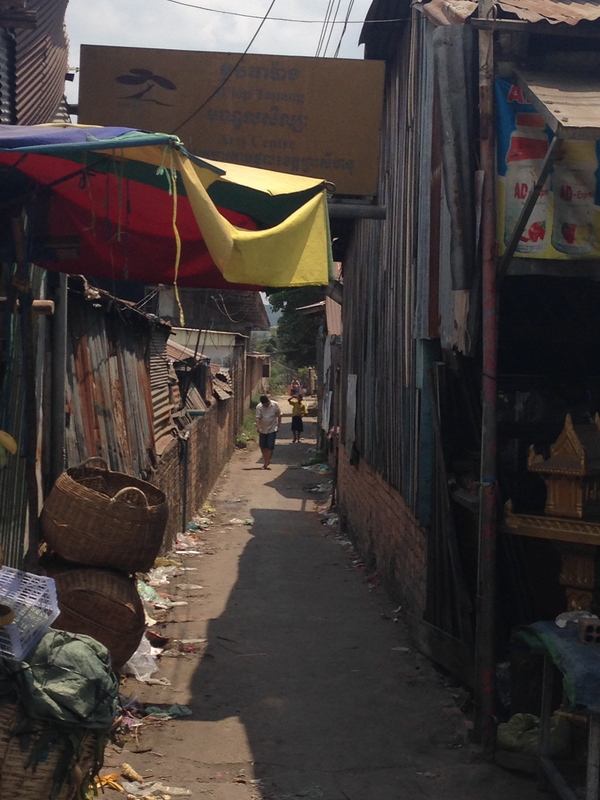 It was very clear that we were not in Viet Nam, and even the poor areas of Viet Nam looked better off than sections of what we were seeing here. Sihanoukville’s history is a rather sad one that begins with it’s founding as Cambodia’s deep water port in the early 1960s by Crown Prince Sihanouk (See-han-ook). Ho Chi Minh would soon build the famed “Ho Chi Minh Trail” through the eastern jungles of Cambodia. 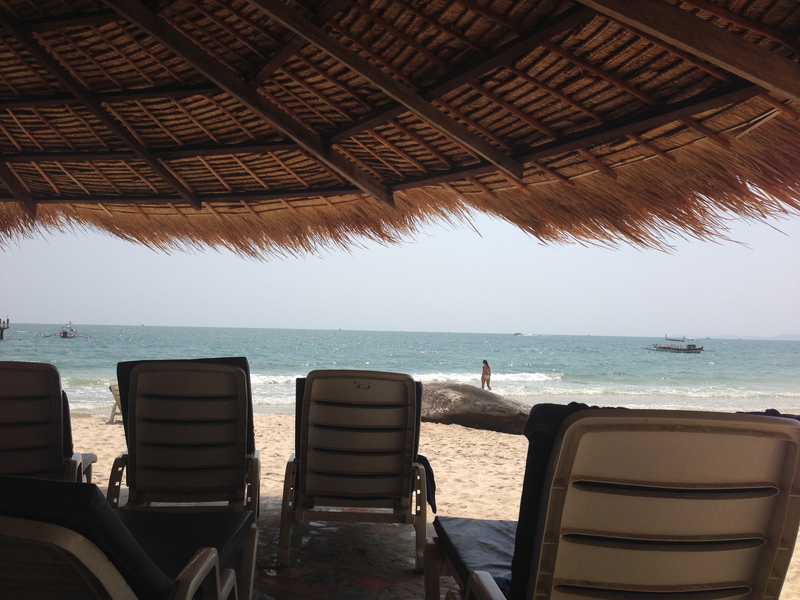 Sihanoukville, however, would try to become the Riviera of the Gulf of Thailand. The first brewery was built here to satisfy the European tastes jetting in. Cambrew, which makes the rather nice Angkor Beer, is still here, and a large bottle can be had for US$3.00. The 7 story luxury Independence Hotel, where our shuttles were dropping off, was the big hotel catering to all the rich and elite. It was here that Jacqui Kennedy would stay during here 1967 Cambodia tour. But, then came the 1970s and Prince Sihanouk was over thrown in a coup by the Khmer Rouge and the dictator Pol Pot. 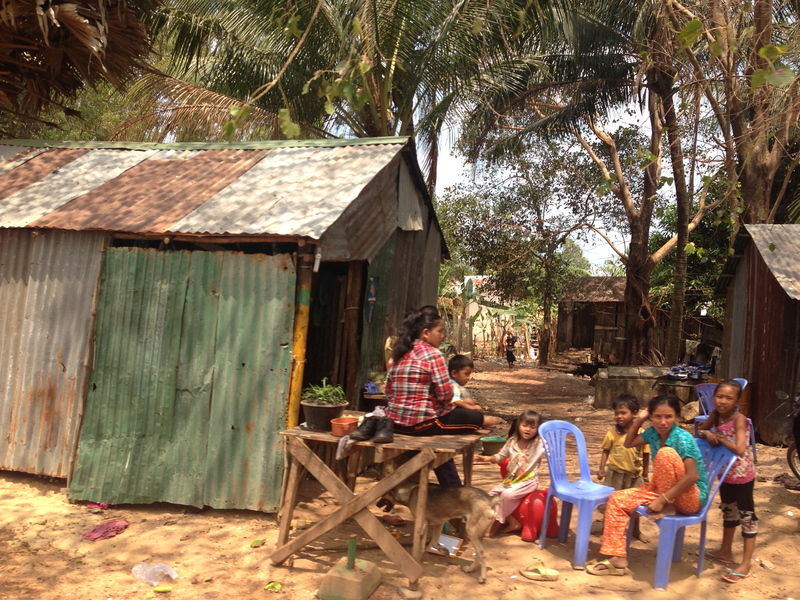 The town’s name was changed to Kompong Som, and quickly fell into despair. The Rouge would use the Independence Hotel for target practice, destroying the once thriving resort. Then, the Rouge hijacked a US Container ship, which prompted the port city to be bombed by the US Air Force. It was not until the establishment of the United Nations Transitional Authority for Cambodia was established in 1993 that things began to turn around. Now, there are hopes for a return of once was a great resort, and everyone in the hospitality trade is turning up the charm. Our driver sped along the road as we watched for local sites. 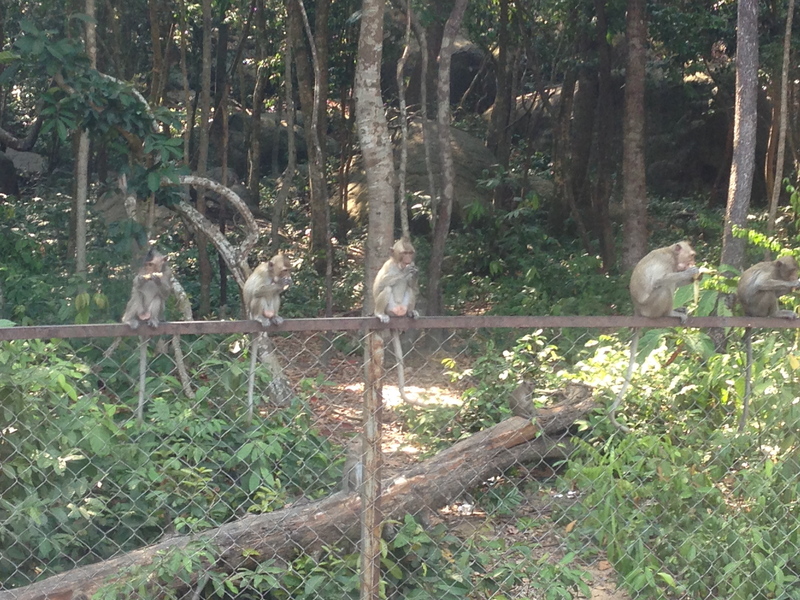 Then we realised…MONKEYS!! There were monkeys wandering about. We were not excited by this as much as we were concerned. Monkeys are nasty things. Many of them can be very aggressive and cunning. They can, and will, steal if given the opportunity. BUT, they are also notorious carriers of rabies. My doctor had warned me about them before I left. OK, we needed to watch out for monkeys. Monkeys or telephone wires, monkeys on roofs, monkeys in the road, monkeys, monkeys, monkeys. We arrived at the market and our driver indicated that he would wait for us, and we told him we would be about 30 minutes or so. I felt much more secure and sure of myself than I was at the beginning of the trip. I had changed, and this was no longer scary to me. 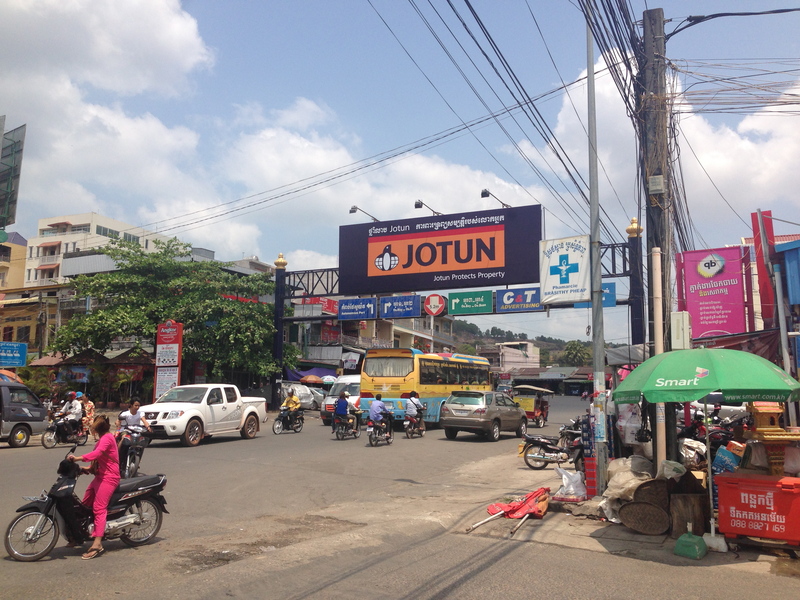 A side street in Sihanoukville. 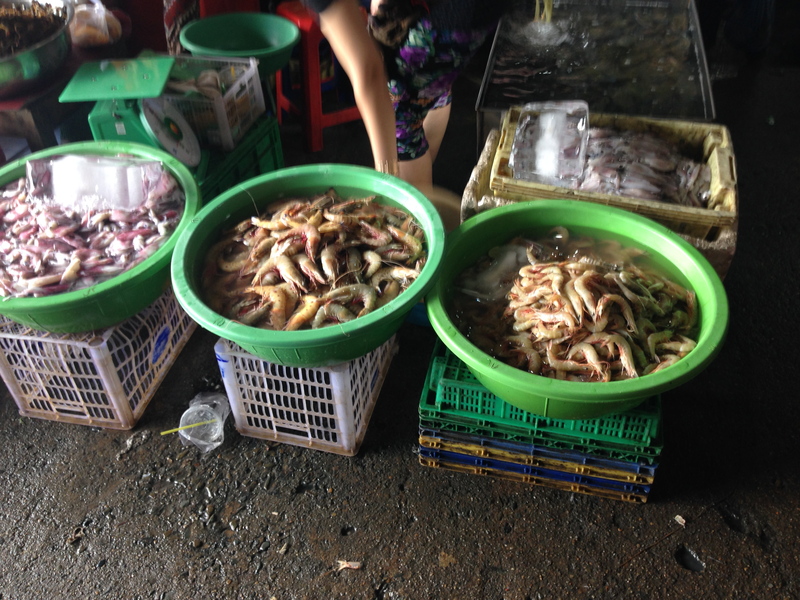 We ventured into the main market, and this was much dirtier and lower market than that which we saw in Ha Long. Many people with various afflictions sat in the centre of the main aisle with their hands out begging for money. The goods available here were much lower quality. I was directed to the market for currency exchange by the local tourism host that had come aboard ship. Soon, I realised that I was not looking for a bank, we looking for vendors who set up their own small currency exchange. The exchange counter was a large plexiglass box on the counter, with the words “CURRENCY EXCHANGE” spelled out in paper letters and taped to the inside. Also inside the box were large piles of Riel. I held up US$50 and she walked over. She picked up a calculator and displayed a number on the screen, KHR198,400 to my US$50. Not a bad deal, as the days rate on xe.com was about KHR3,968 to US$1, so this was pretty dead on. I would learn that different places would work out their own exchange rate, most were higher to the KHR than this place. Prawns for sale in the Central Market. With Riel in my pocket, we walked around and just absorbed it all. I couldn’t help notice the numerous beggars with various afflictions. I wanted to stare and look, but at the same time, I didn’t want to attract the attention. I had no idea what was contagious and what wasn’t, and many of these people can be quick to reach out to you. I don’t think that there was a real threat, but I tend to be a bit overly cautious, given my medical history. I found a little stall selling a few trinkets, and I picked up a few small items. No real deals were to be had, unfortunately, and people did not seem as ready to haggle here as they were in Viet Nam. We boarded our Tuk Tuk and headed off to the Temple. Up, up and away to a magical place. Our driver began the trek up the step slopes of the mountain upon which sat Wat Leu. I am fascinated by these places now, after Khoa took me to the one in HCMC. As we continued to climb, the quality of the road deteriorated. Soon, we would enter an area that looked like something seen in a commercial with Sally Struthers. Houses of various state of disrepair gave way to tin huts on stilts, with rough timber ladders to reach the porch area. Children sat in door ways that just had a curtain in place of a physical door. Monkeys jumped from roof to roof, while dogs ran under the huts looking unsure of what they were searching for. As we continued the climb, we passed a large antenna area of the local authority. Up we continued until we could see the gold gleam of the temple through the trees. This Wat (temple) was under restoration, and it appeared that everything was being done on site by local tradesmen. In one area, you could see the raw, unpainted stone in disrepair; but, then there was the brilliantly coloured restored sections. Walls of butter yellow with iridescent red elements that were then highlighted in gold leaf or paint. Other buildings were painted a rich terra cotta colour with iridescent green and then the gold leaf highlights. Lizard like faced gargoyles held up the eaves of roofs. Simple statues of Buddha watched out over the hillside. Sculpted monks were shrouded in bright gold fabric as a sign of respect. It was brilliant, and this was a very modest and simple temple. 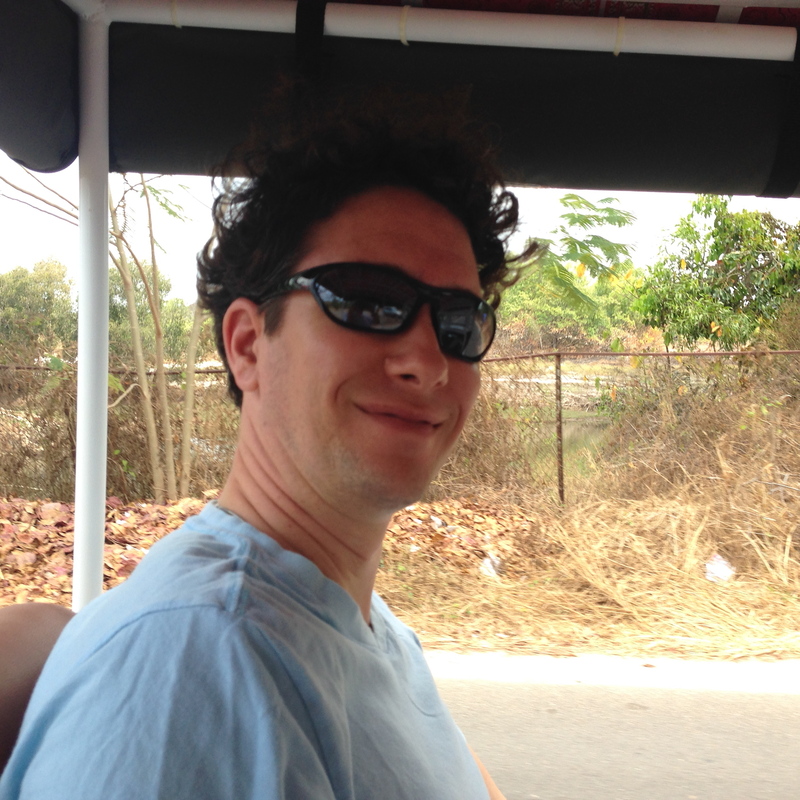 We had jumped out of the Tuk Tuk, Francis very quickly told me to watch out. 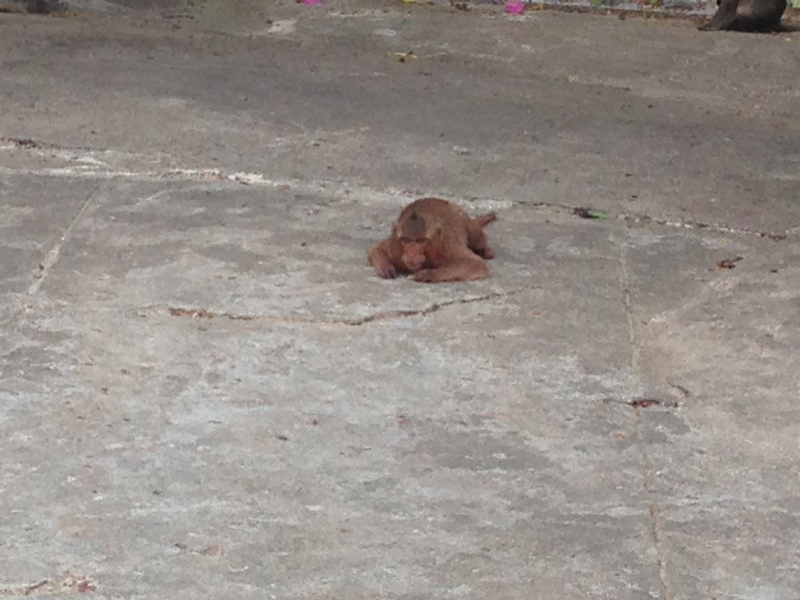 The sneaky monkey creeping along the ground. Creeping up between two buildings was a skinny little monkey while another sat on a roof watching us. I stared at the one that was walking towards us, and he laid down, spreading himself across the hard ground. I then looked down the long ancient staircase that stretched up from the village to where we were at the Temple on the peak. It was a mother with two young girls, and carrying an unclothed toddler boy. They were waving to us, and I waved back. I knew where this was heading. Our driver stayed back, but I noticed that he always made sure to keep us in his sight. He was watching our backs, which made me appreciate the guy even more. I knew I had chosen well. 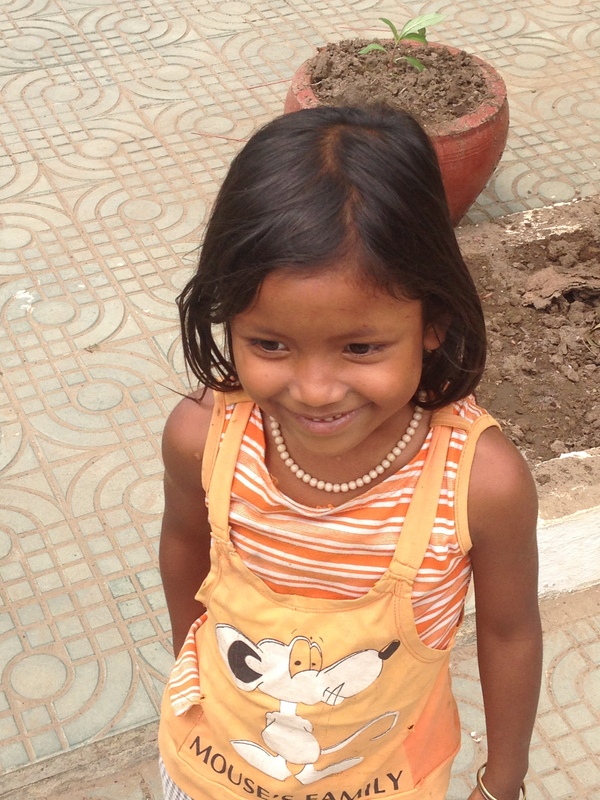 As we wandered around, the family made their way over to us, and the littlest one, Mahp, introduced her family. They then took little white flowers and reached up to put them in my hair. I am not a fool, I knew that they were going to ask for money; but, I also was not sure about pick pockets. That is an art that is full swing over here, and an innocent child can easily distract you while that note slips right out of your pocket. I didn’t let on that I was keeping an extra diligent eye on my pockets and self, and smiled and chatted with them. Soon, they went after Francis who was prepared. He took out a US Silver half dollar coin. He showed them the coin, which they quickly reached for. He stopped them, and proceeded to do a bit of magic with it. To be honest, they didn’t really seem to care about the magic, they wanted the coin. Soon, it was theirs. 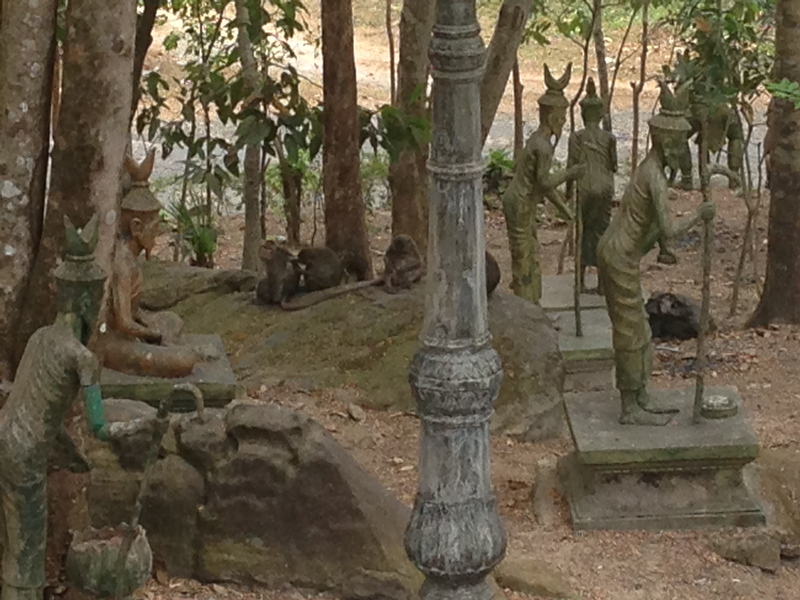 A pack of monkeys in the jungle by Wat Leu. As we walked back to our Tuk Tuk, our driver pointed out that a pack of monkeys had gathered on a rock part way down the hill. Francis very carefully walked down to get some photos. I reminded him that they can move fairly quickly and to watch them. He soon made his way back up, and we headed back towards the Independence Hotel. I really liked our driver, he was low key honest, and looked out for us. You can ask for more than that. We had agreed on US$15, which is KHR60,000; we gave him KHR70,000 (approx. US$17.50). He doubled counted, as if we had made a mistake. He held it up, I smiled and thanked him. Tipping is not standard over here. We made our way into the Independence Hotel Beach Resort. We approached the bar and looked at the beer selection. Since Francis and I both love beer, we have made it a point to try as many of the local brews possible. Now keep in mind, beer that is often available oversees under a national name, may not be the same. Buying local, makes all the difference. Thus far, we have tried Hanoi, Red Saigon, LaRue, 333, Angkor, Singha, and Chang. All were interesting, Red Saigon is our mutual favourite. The beach at the Independence Hotel and Resort. We ordered two large Angkor beers, and the waiter quickly ushered us to two lounge chairs under a large palm roofed canopy on the beach. He placed a table between us, and we laid out. Soon, he returned with an ice bucket, two large Angkors, and two frosted glasses. We sat there, enjoying the magnificent view, the cool and refreshing brews, while some very attractive bodies walked by to tantalise our eyes. I was truly relaxed. I mean completely, and utterly relaxed. I had no cares or woes at that moment. No thoughts of work, or issues came to mind. All that I thought about was the delightful flavour of my beverage, the beautiful view, the utterly amazing curves and an incredibly attractive individual who did not know just how attractive they were, the sounds of the beach, and the company of a good friend. This was the life. We learned that there was free wifi available; so, we logged on and shared some pictures of our wonderful experience in a slice of paradise. After a second round, we decided to begin moving and try to locate our friend Sophia. As we approached the road were Sophia was selling her wears, we didn’t see her. Another vendor, with similar bracelets for sale, approached us and said that she was Sophia’s friend and we could buy from her. No deal! A pinky swear is a pinky swear, and we would only buy from Sophia. Her friend said that she was down on the beach, so we went looking. We walked up and back, but no Sophia. So, because of the sanctity of the pinky swear, no one will be getting any string bracelets from Cambodia. Sorry! 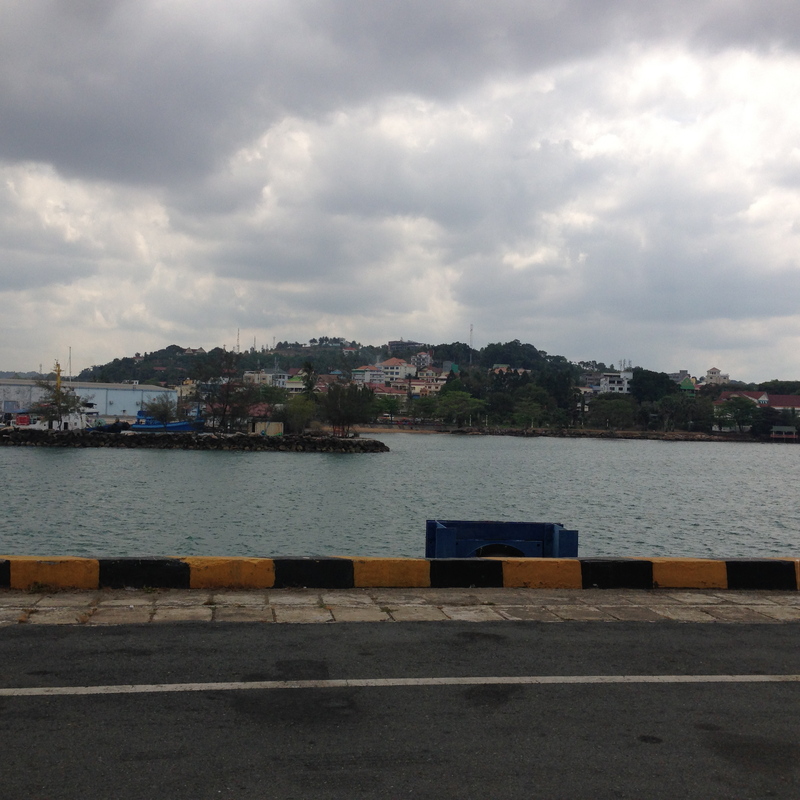 We then decided to head back to the ship, and our Cambodia adventure would come to an end. Tomorrow would bring a new adventure in Ko Samui, Thailand.